What? When? How? How Much? With Whom? 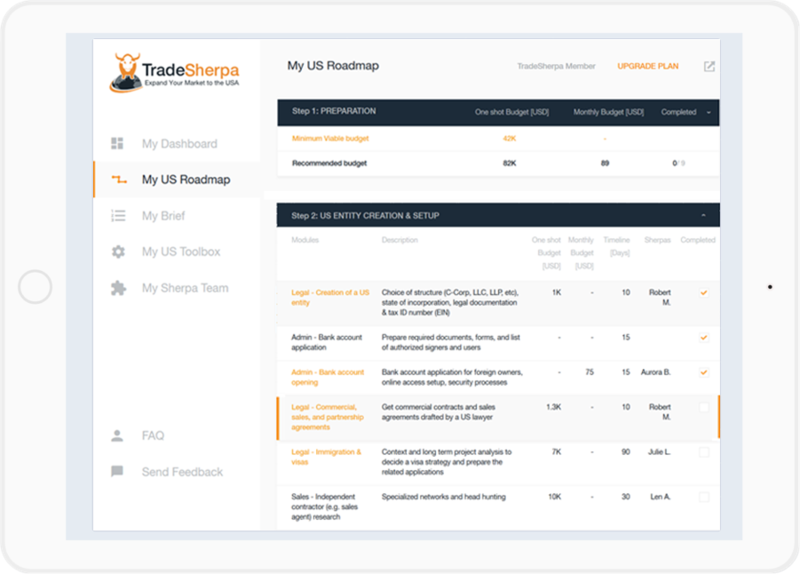 Expanding to the USA yields rich rewards, let TradeSherpa be your guide. Get your customized U.S. business roadmap and connect with the right experts at the right time. We were tired of seeing foreign CEOs & their teams scratching their heads to connect the dots, while wasting time and money trying to expand to the USA. Misled by their biased friends, assaulted by too many, often short-sighted experts, lost among nebulous networks, and frustrated by truncated information. We created TradeSherpa for them. 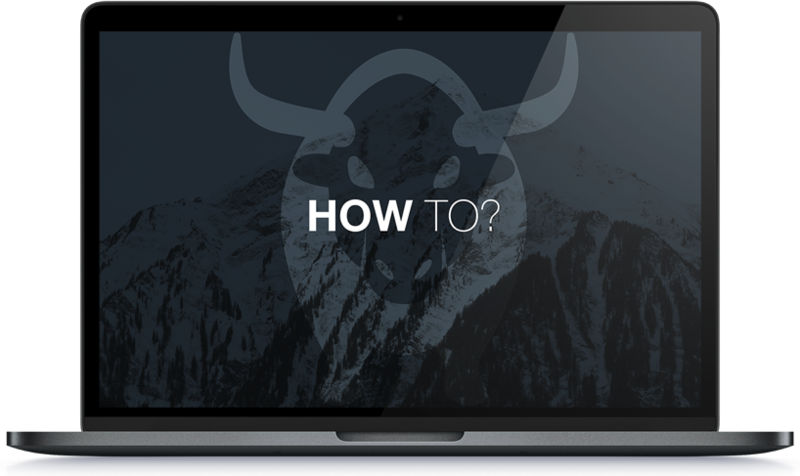 An aggregate of freelancers: Have a DIY approach? good luck! Caring and experienced people: We help you navigate both the big picture and details! Need the “big picture” and a clear action plan? Use our interactive tools and leverage our team to get a business roadmap tailored to your company’s expansion project: action items, milestones, timeline, & budget estimates. Once you have your U.S. roadmap in hand, we give you the list of the Sherpas you need to guide you at each step. You then just let us know when you wish to contact them, and we will make the introduction. Leverage our team’s field knowledge and log in any time to access your U.S. Toolbox, which will help you connect the dots and save time on implementation. Educate yourself, control your team’s progress, and challenge local experts. Thinking of expanding your business to the USA or improving current operations in the USA? Build your U.S. business roadmap today and set your company off to a good start.